Details: 12.8 megapixels, 4/3 size sensor, 24-75mm Leica DC lens. We own a mirrorless Panasonic camera and have been very happy with it’s performance. Panasonic gets great reviews for their compact and mirrorless models. Details: 24.3 megapixels, enhanced fast hybrid AF and 5 fps burst, world’s first 5-axis in-body image stabilization in a full-frame camera, ISO 100-25600. Almost every travel photographer I know that owns a mirrorless either has the Sony A7 or the Fuji X-T1 (below). The A7 II touts a 30% faster auto focus than the older version. You can get the for about $1698 new or buy it for just a few hundred dollars more. If faster auto focus or in-camera image stabilization is not as important to you, the slightly older version is a fraction of the price. Details: 16.3 megapixels, water and dust resistant, up to 8 FPS continuous shooting, 3″ tiltable LCD. 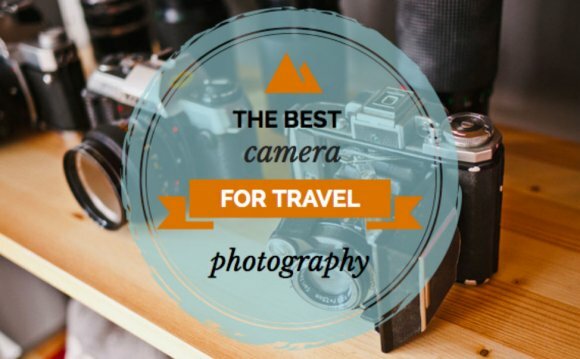 Travelers love this camera. It’s lightweight and takes amazing photos. Purchasing the makes this the ultimate travel camera. Mirrorless cameras have come a long way and many photographers have decided to ditch their bulky DSLR cameras for this lighter option. I completely understand why travelers would choose a mirrorless over a DSLR, but many photographers, including myself, are not quite ready to toss out their Digital SLR cameras. DSLR cameras are better suited for sports, wildlife, and other types of action photography. If these types of photography don’t interest you, then you will probably be fine with a mirrorless. I often travel to photograph wildlife and I need a capable zoom lens (I use the ).